A 36-YEAR-OLD woman naturally delivered a five kilogramme baby at Kings Poly Clinic in Bulawayo on Saturday morning. Medical practitioners have said the average weight of a "big" newborn child is between 2,5 to 3 kilogrammes. They said it was "something of a miracle" that such a big baby was born without a Caesarean section. Happy parents Mr Sibangani and Mrs Khethiwe Moyo said they were happy to welcome the bouncing baby boy. Mr Moyo said he had to buy a whole new mini wardrobe for the lad, as all clothes bought for preparation were too tiny. "He can only fit in the 6-12 months range. The 0-6 months baby range is too small for him. We had bought 3-6 months baby sets and they are all small. 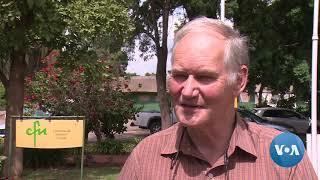 I had to run around and do last minute shopping as the young man is so big," said Mr Moyo. He said when he first heard the news of the giant baby, he was very happy but worried about the mother. "I just got worried about what my wife must have gone through to deliver our child. I was relieved when the doctor and nurses assured me that all was well and she was fine," he said. Mrs Moyo said many people assumed she was expecting twins or triplets as her tummy had grown very big during her last trimester. She said she has always given birth to big babies. "My first two children weighed 3,25 and 4,3kg respectively so I was not very worried when doctors told me I was carrying a huge baby. I was shocked though when nurses broke the news that Thando clocked 5kg. I'm grateful that I had a natural birth," she said. Nurses at the hospital said it was rare for a baby this big to be delivered naturally. 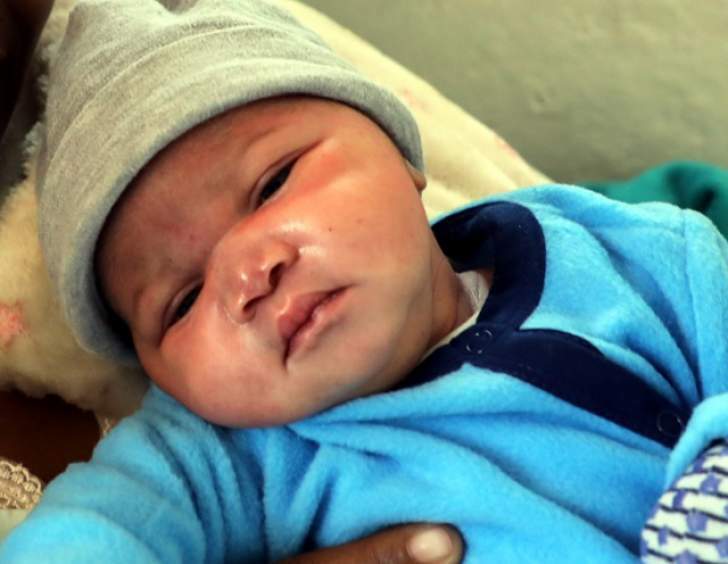 The CEO at the centre, Sister Sitshengisiwe Ncube said baby Thando was the second biggest baby that they had ever delivered at the health facility. "Ever since the opening of this place, we have only had one such big baby. A 5,6 kg baby boy was delivered in 2013, and Thando only comes second to that one. Thando is the biggest baby that we have had in the last five years," said Sister Ncube. She said a healthy diet and exercise were important for expectant mothers and other women planning to conceive as the health of the mother impacted on an unborn child. Thando was delivered naturally partly because his mother had an active lifestyle during her pregnancy and ate healthy food. "Women must not always give in to cravings especially for unhealthy fast foods and fizzy drinks. Yes, you may afford them on a daily basis, but they have consequences, you could face complications. It is common to experience fatigue during pregnancy but women should try to do some work, a bit of exercise in order to stretch muscles, but avoid carrying heavy loads," she said. Mrs Sithembiso Mathe, the maternity assistant at the hospital said it was a miracle that a baby so big was delivered naturally as it was the norm for big babies to be born via Caesarean section. Baby Thando and his mother were discharged on Monday. According to the Guinness Book of Records, the heaviest baby born to a healthy mother was a boy weighing 10.2 kg (22 lb 8 oz) who was born to Sig. Carmelina Fedele at Aversa, Italy in September 1955. The lightest who survived, according to the same record book was a mere 260 grammes. "The child was Rumaisa Rahman who was born at Loyola University Medical Centre, Maywood, Illinois, USA, on 19 September 2004 at 25 weeks 6 days gestation."